Yanmei Coal Group Taiyuan Chemical New Material Corporation - ANCHUN INTERNATIONAL HOLDINGS LTD. 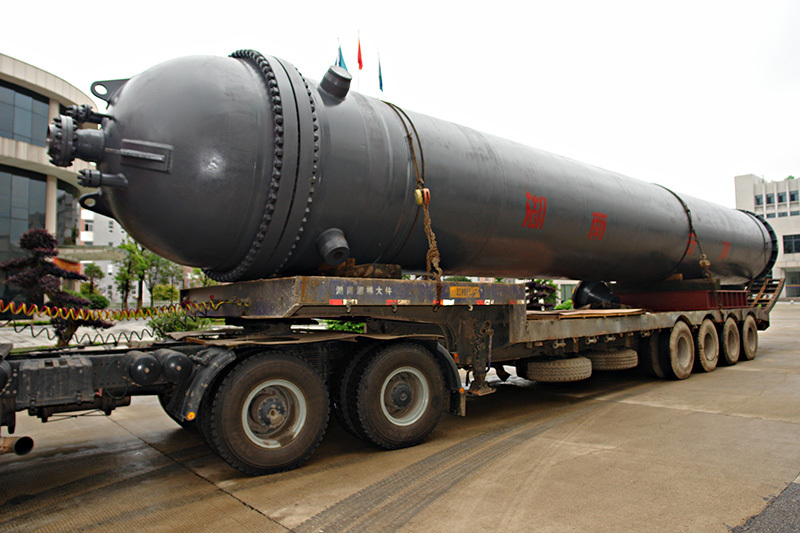 The Isothermal CO Shift Reactor Technology developed by Anchun is first-of-its-kind in China. It solved difficult environmental and technical problems of off-gas re-utilization and temperature-control problem. With features of high CO conversion exceeding 98%, 80% plus reaction heart re-utilized for steam-raising, reactor pressure drop less than 0.01MPa, catalyst prolonged from 2~3 years to 6~8 years, the technology is suitable for both new-build and re-vamp projects. It is applicable for calcium carbide off-gas reutilization, coal-to-ammonia, coal-to-natural gas, coal-to-hydrogen, coal to ethylene glycol, coal-to-methanol and coal-to-olefin process. The upstream gasification can be entrained-flow, water-slurry or fixed-bed for the CO shift reaction. It offer superior performance and economic advantages especially when the inlet CO content and steam-gas ratio are high.